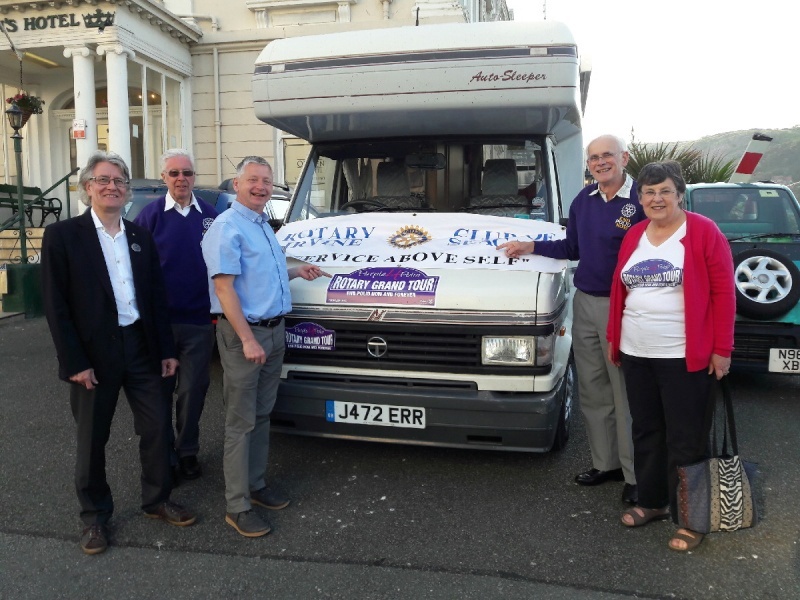 The Seagate Rotary team, of Ian & Louise Dickson, enjoyed sunshine at almost every stop on the Rotary Grand Tour last week. Across Britain, 51 vehicles took part, including the Seagate motorhome, a 1930 AJS, a 5-litre Mustang, and a specially-made dump-truck with the slogan ‘Dump Polio’. 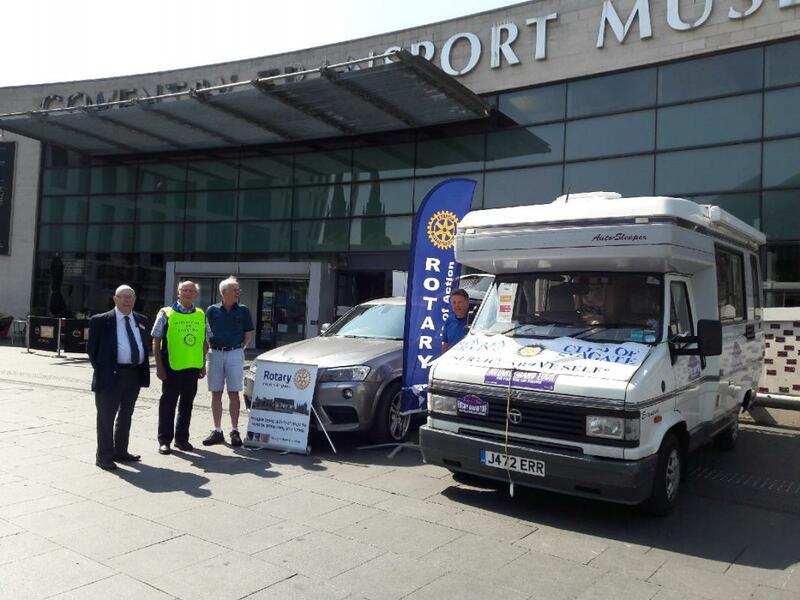 The Seagate team called at all three Scottish stops, then visited northern England and Wales, then back through the Midlands to Halifax, making a total of 12 Rotary stops in three countries. On the last day, Halifax Minster welcomed the cars into its grounds and the team members into the Minster for the end-of-tour gathering. All sponsorship is tripled in value by the Gates Foundation, so the £507 raised by Seagate contributes over £1500 to the End Polio campaign, and the organisers expect that the overall total will exceed £100,000. 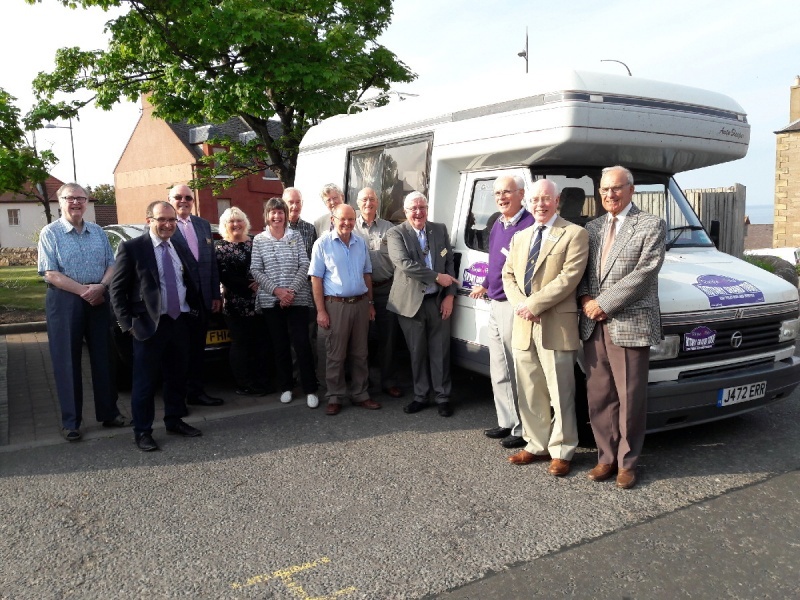 Highlights for the Seagate team included visiting Dunbar Rotary, seeing the Rotary project display at Preston, attending Llandudno Rotary, being welcomed by Rotary at Stoke, visiting the outstanding Transport Museum at Coventry, and of course joining the final meeting at Halifax.